As with every year, the organisers have set a theme to help further accelerate global gender parity. This year’s theme is #BeBOLDForChange. Personally I think it’s a perfectly timed focus in the current political and social climate. It’s a call to arms for men, women and non-binary people to take bold proactive steps towards gender equality for all. They’re not new or groundbreaking pledges but they are fundamental to creating a more gender inclusive world. 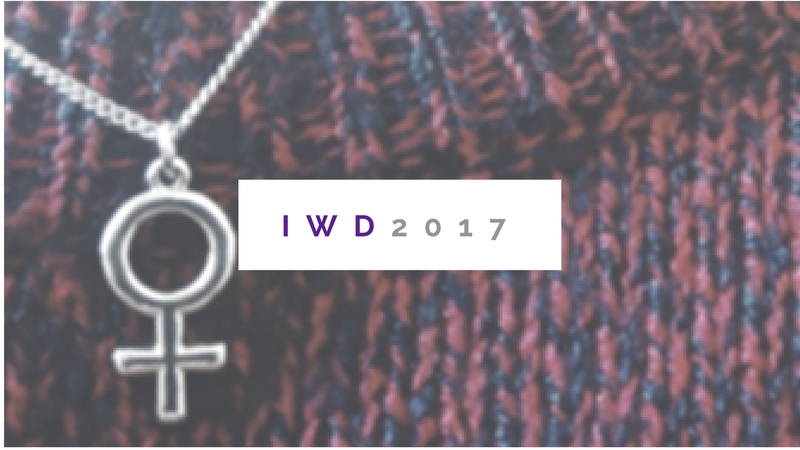 Of course, everyone will have their own way of taking on a pledge – in fact the IWD website breaks down each action and gives some examples of mini pledges you guys can do in your everyday lives. As it is International Women’s Day and I’m all about celebrating the achievements of ladies around the world, here are five women who already embody the #BeBOLDForChange moto. This was the hardest pledge to choose a candidate for, as there are so many organisations and activists out there campaigning against violence against women, men and non-binary people. In terms of impact Sisters Uncut have had some of the most prominent press in the past few years for their political stunts at the Suffragette Premiere, in Trafalgar Square and even back in my old University town. Their manifesto is to ensure self-identifying women are physically, financially and legally supported when faced with domestic violence. I have no shame in including Ava in another awesome ladies list (again!). Oscar nominated director Duvernay is not only prominent in the fight to chip away at the Hollywood glass ceiling, she is also committed to championing women in film and media. Through her film independent film distribution company ARRAY she has founded an outlet to support, fund, and allow people of colour to tell their stories. In a time where so few women are hired on and off camera, Duvernay’s work is so important for the advancement of women in the movie and media industry. What more appropriate candidates for this pledge than the two women who have championed Shine Theory. Individually these Sow and Friedman are wonderful role models for champions women and their voices within their respective industries. Sow is the founder of Tech LadyMafia, a global networking initiative supporting women who work ‘in and around the Internet’. Friedman’s journalism work has had her cover a range of feminist topics such as sexual assault, women in pop culture and US politics. They’re are strongest when working together though on their podcast Call Your Girlfriend, where Shine Theory really comes into play. This woman rarely needs an introduction. The 19 year old is the youngest recipient of the the Nobel Peace Prize and has spent the past few years advocating for education for girls in her native Pakistan and for global access to education. The Malala Fund has raised millions to assist in active learning programmes in Syria, Kenya, Nigeria and Sierra Leon. Malala herself has spoken in front of the UN and dozens of World leaders calling upon them to take up her “books, not bullets” message to heart. Of course this is just the smallest sample of incredible, hardworking, feminist activists taking bold and brave steps for the advancement of gender parity. I could have totally listed about a dozen more! Why not leave your comments on the women you feel are also already embodying today’s pledge in the comments below.